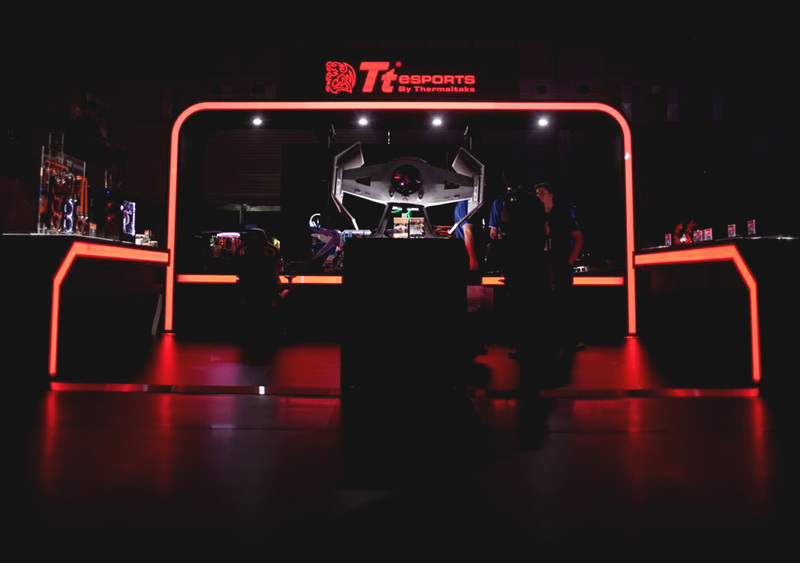 Tt eSPORTS understands the whole is greater than the sum of its parts; and that is why at the heart of every gaming setup, each and every Tt eSPORTS product ranging from keyboard, mouse, mouse pad and headset, have been tuned meticulously by our team of experts to work in complete synergy; and in doing so, equip gamers with the latest tech and battle tools to compete competitively for that all-important advantage during intense battle sessions. 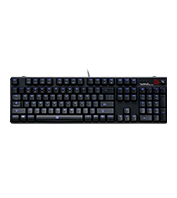 Mechanical keyboards are also more durable than membrane keyboards and on average, the Cherry MX switches are rated at over 50 million clicks, whilst membrane and plunger switch keyboards are rated at around 20 million. 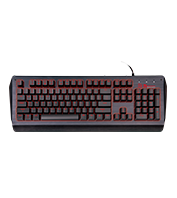 RED switches are your classic gamer switches. 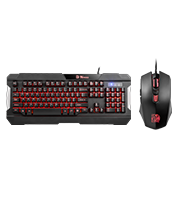 Reds have been around since 2008 and have one of the lowest actuation forces needed of any Cherry MX switch. That means they’re light and fast and offer minimal resistance. 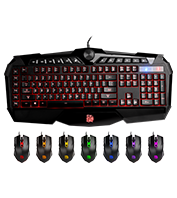 These are for the gamer that wants to bounce from key to key and nail each command. 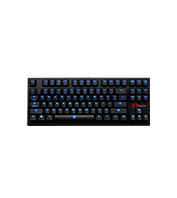 BLUE switches are still mechanical clicky keys, but they’re more suited for typing since they have strong tactile feedback. 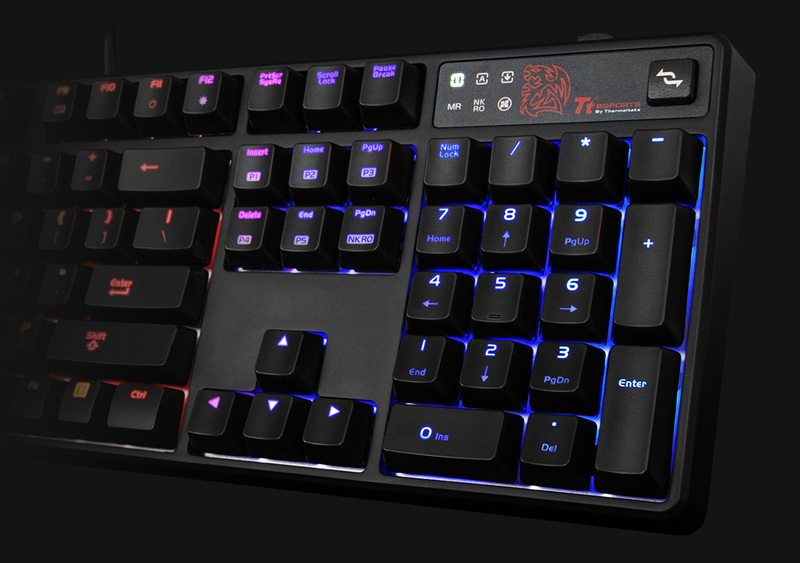 They are the loudest Cherry MX switch variety, but they’re great for anyone who loves that classic click. The weight needed to press each key is a little more than the reds (50 centi-newtons instead of 45cN), but because of the very obvious tactile bump, touch typists love them. The key (pun intended) is that you don’t need to push each letter all the way down to register the press. 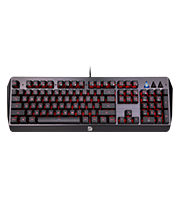 BROWN switches are the jack-of-of-all-trades, they work well as a gaming or typing keyboard. They’ve been around since 1994 and have seen very few revisions in that time. They don’t have the same loud click as the blue variants, but they do still have a tactile bump that makes typing easier. So, if you work from home and crack into Overwatch after hours, this one is probably for you. 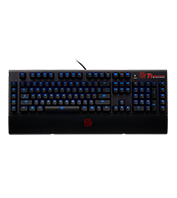 TteSPORTS membrane keyboard uses a rubber dome membrane to provide a soft-cushioned touch for each keypress. Keypresses usually have to travel the full distance and therefore provide a more solid and physical response. Membrane keyboards are also the quietest out of the three keyboard types, weigh less and are typically suited to the general everyday users. 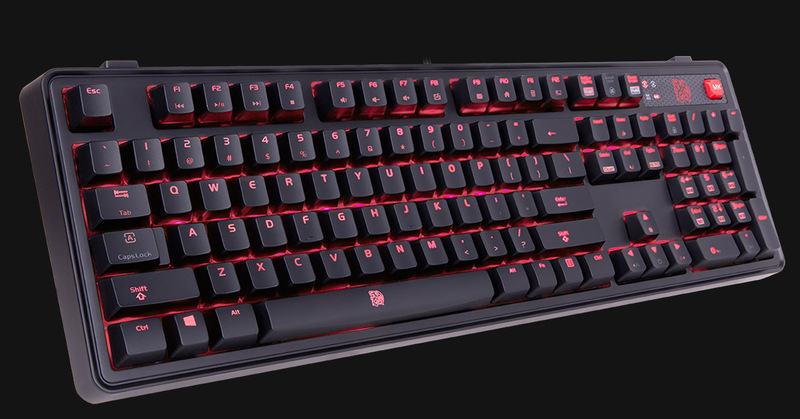 Designed to combine the best of both worlds and sit between rubber membrane and mechanical switch keyboards, the TteSPORTS Plunger keyboards uses TT plunger switch technology, a semi-mechanical rubber dome setup that provides mechanical tactile-like feel and audible click. 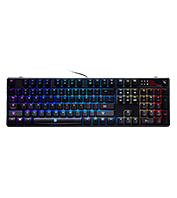 A keystroke is registered when a keycap is pressed and the plunger switch located underneath extends downwards, registering mid-travel with the membrane layer and with mechanical-like accuracy. 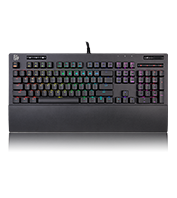 Full keyboard & windows lock function to prevent accidental presses and for easy cleaning. 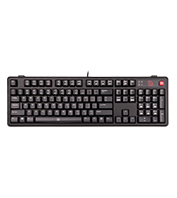 3.Full keyboard & windows lock function to prevent accidental presses and for easy cleaning. Light Effects static, pulse, reactive, star, snake marquee, ripple, wave, flow. Static Static Static, Pulse, Regional Static Static, Pulse, Wave, Ripple, Reactive Static, Pulse, Spectrum Running, Wave, Spiral Rainbow, Ripple, Reactive, Fade, Aurora, Sine Wave, Snake Marquee, Aura, Star, Raindrops. Static, Pulse, Wave, Spiral Rainbow, Ripple, Reactive, Fade, Aurora, Sine Wave, Snake Marquee, Aura, Star, Raindrops. 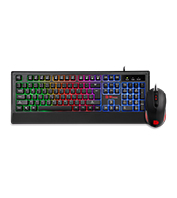 2.Three primary RGB lighting colors with four stunning effects and adjustable brightness levels. 5. 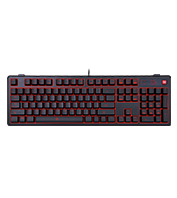 Switchable WASD / Arrow Keys (Only can switch in Game Mode). 6. 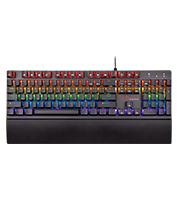 Ability to re-map all keyboard keys independently to another key. 1.Fully backlit 3-color illumination (blue, red, purple) with adjustable brightness. 2.Four lighting effects with three level speed adjustment: static, pulse, pulse jumping, spectrum running. 3. Plunger switch with mechanical-like tactile response. 4. 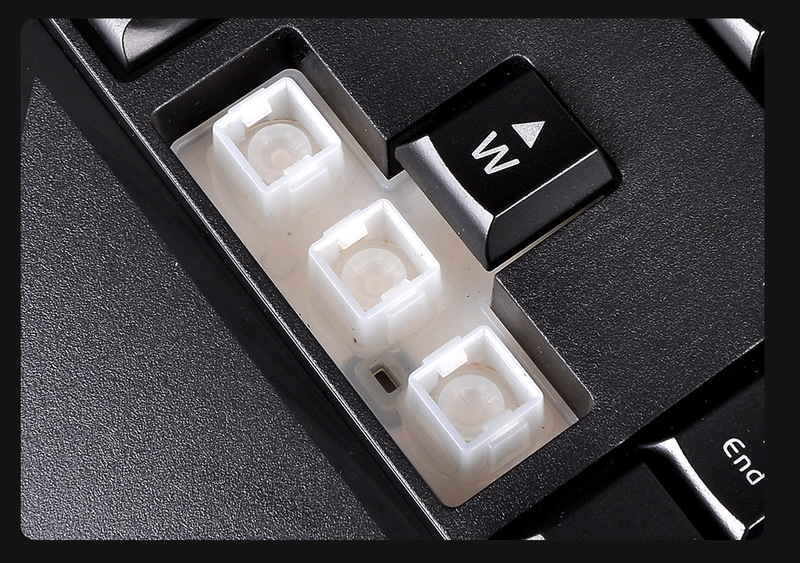 Full keyboard & windows lock function to prevent accidental presses and for easy cleaning. 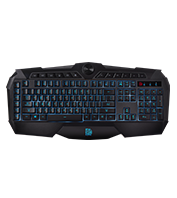 1.Optical gaming grade sensor with up to 2400 DPI. 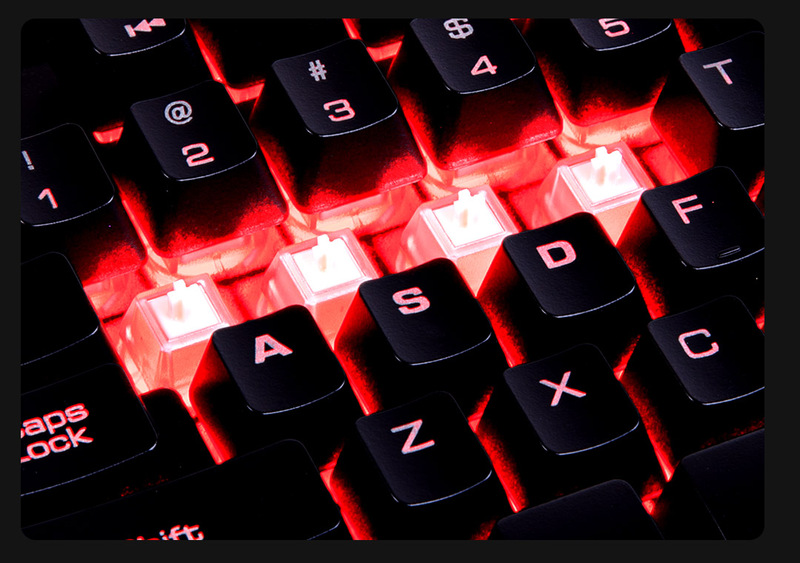 3.Side panel lighting for enhanced gaming atmosphere. 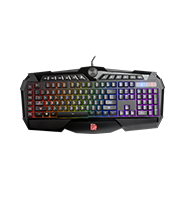 4.On-the-fly DPI adjustment with LED indicator: Red 800 DPI, Blue 1600 DPI and Purple 2400 DPI. 1. 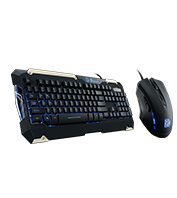 Optimized for all types of gaming mouse with laser or optical sensor, offering total tracking responsiveness for consistently reliable in-game control. 2. 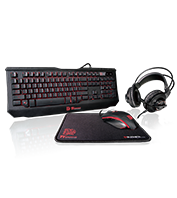 Low friction and high performance, improving mouse control and precise movements.